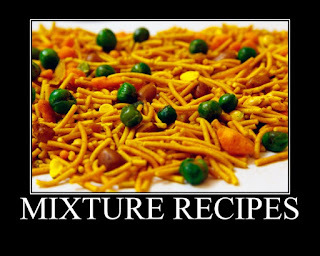 In a big mixing bowl, add the bhoondhi, omapodi (sev), banana chips, roasted peanuts and dalia. Heat oil in a small pan and fry the curry leaves. 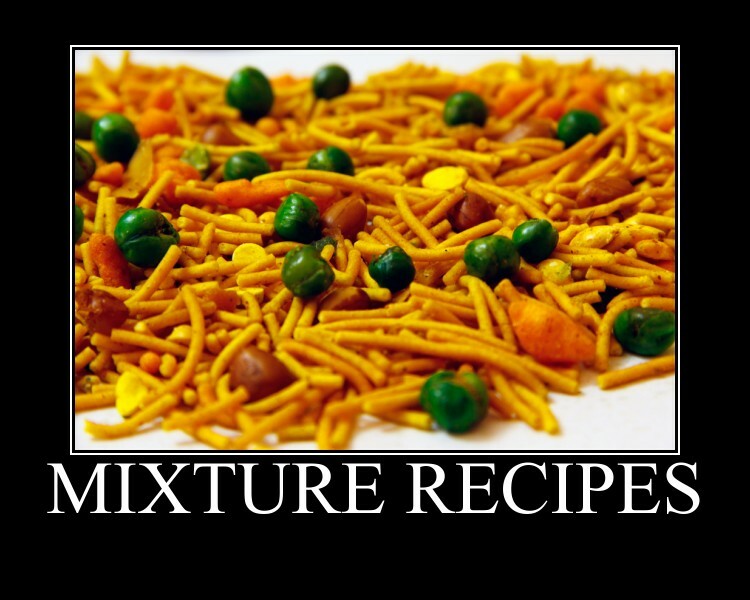 Remove it out and add it to the mixing bowl. Crush the garlic cloves using a mortar and pastle and fry it in the same oil. Add this fried garlic also to the mixing bowl. Add some chilly powder and toss everything together. You can store this in airtight box for more than a month. Serve with evening tea or as a sidedish for rasam rice or curd rice.